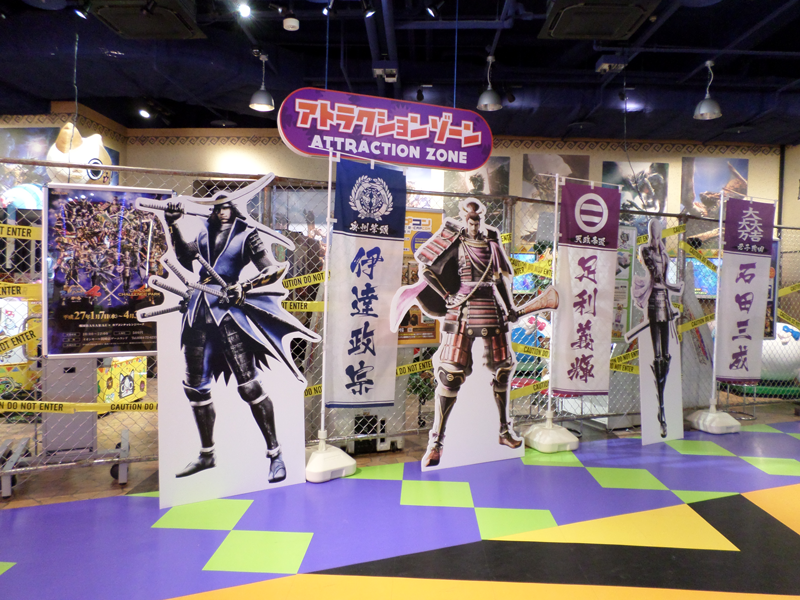 During my incredibly short trip to Japan last week, I managed to find time to visit the temporary Sengoku Basara 4 x Capcom Challenge Park exhibition which is running until 30th April 2015. Here's a report with some pictures in case anyone is interested in what the event involved. The first challenge was getting there, as the Capcom Challenge Park is part of an arcade complex in the Aeon Mall Okazaki in Aichi Prefecture. It takes at least a couple of hours if you want to travel there from Tokyo. Since I didn't have much time I took the Hikari Shinkansen to Toyohashi then a direct train to Okazaki - one of the quicker routes so long as you time it correctly. If you have a less hectic schedule it's far easier to get there via Nagoya, which has some excellent shops and sights of its own. After arriving in Okazaki it was just a matter of a long walk along a straight road to get to the mall. 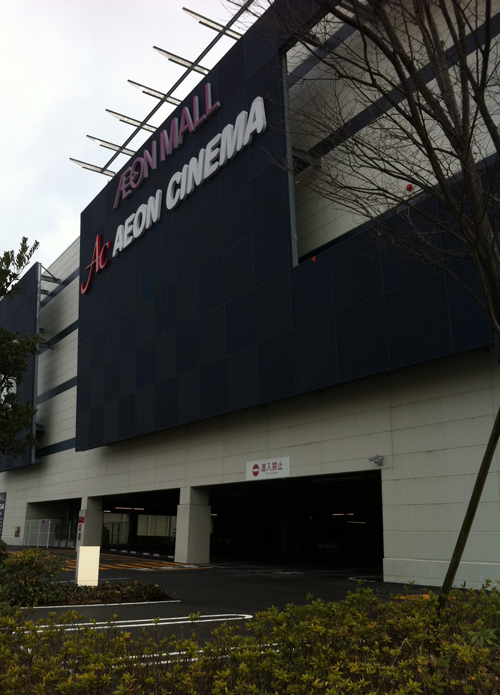 The Aeon Mall is colossal, and you can see it long before you get close. The Challenge Park area is actually in the mall's cinema building which is conveniently visible from the road you're already walking along. It was easy to find the Capcom Challenge Park within the arcade area. The familiar melodies of the Sengoku Basara 4 soundtrack drifted out from within. An extremely friendly staff member picked up on my obvious excitement and helped explain the various attractions to ensure I didn't miss out on anything. It cost ¥500 to enter the park, which seemed like a good deal. Everything in the main area was priced in zenny which required converting your money into tokens at an exchange rate of ¥100 to 1 zenny. You could use the zenny to activate the various Monster Hunter rides scattered around in the area. As I'm not all that interested in Monster Hunter, I focused on the Sengoku Basara content. There were two PlayStation 3s set up with Sengoku Basara 4 installed, as well as a bunch of classic arcade machines running everything from Street Fighter II to Sengoku Basara X on free play. It was my first time playing the latter on an actual arcade machine so it was fun even though I lost. Badly. 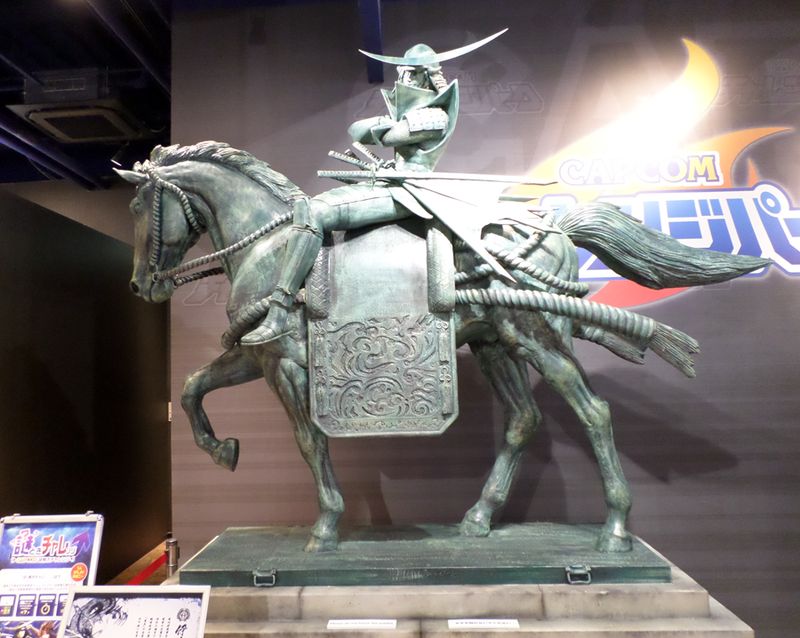 The fantastic mounted Date Masamune statue from Tokyo Game Show 2013 was also in the area, as promised. The 'Giga Basara photo spot' let pairs of friends unleash their inner warrior and recreate the dramatic Giga Basara poses from Sengoku Basara 4. Replica swords were available for anyone who felt bold enough to try to wield six at once. 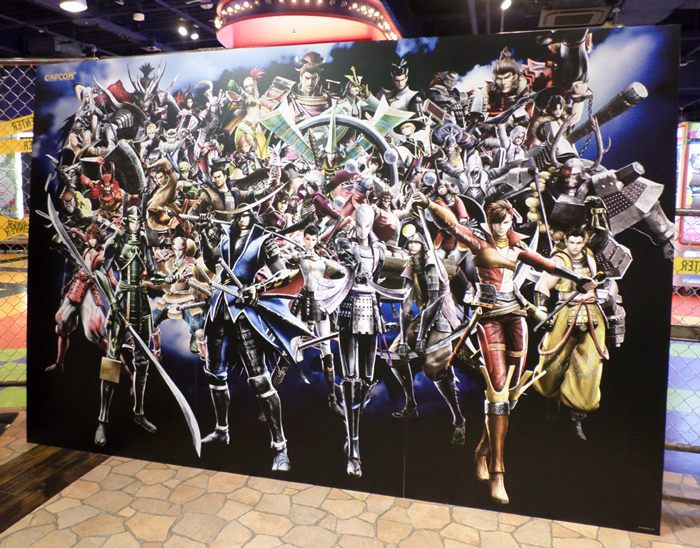 There were more photo spots too, like this one featuring all of the Sengoku Basara 4 characters at once. 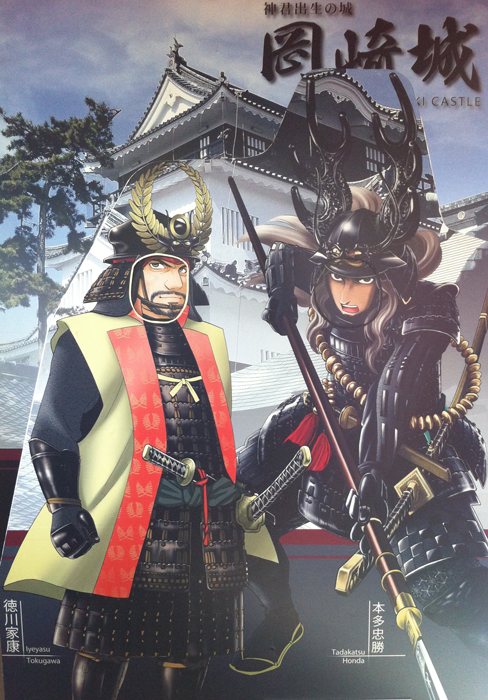 And although I didn't take a picture, right next to this panel was a gallery showing off the ink painting artwork from the game and various goodies such as back issues of Sengoku Basara Magazine. If you paid an additional ¥300, you could take one of three special challenges in locked rooms. I decided to try the Sengoku Basara 4 one just to see what it was like. 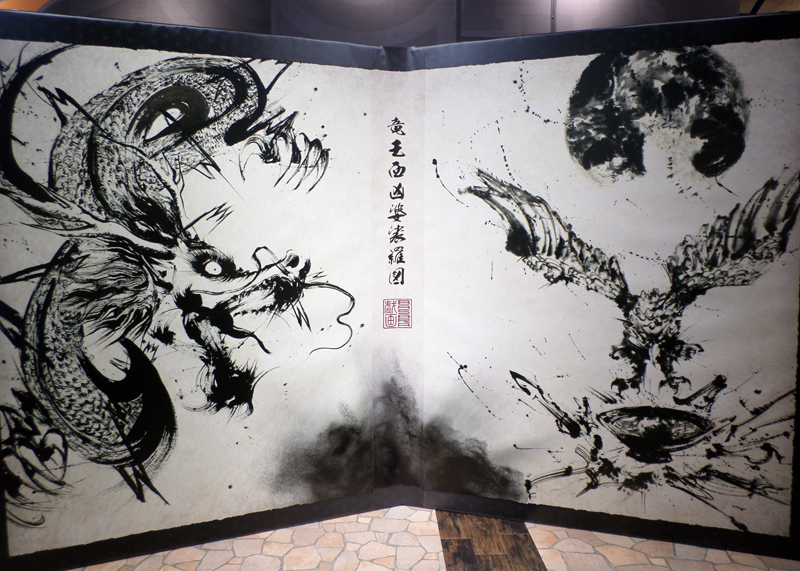 I can't share any pictures or solutions as part of the park's rules, but I can confirm that it involves a series of puzzles with a video explaining that you're working under Sakon and trying to recapture Osaka Castle from the joint Masamune/Yukimura army. There's a ten minute time limit and it's probably impossible without being able to read kanji; the puzzles aren't particularly difficult but several required basic knowledge of the series and characters. If you're in the area and fancy a challenge then I recommend bringing friends - more people helping to solve the puzzles would make it much easier! The ten minute time limit is very harsh otherwise. The main arcade had also strategically placed UFO catcher machines with Sengoku Basara prizes near the Challenge Park, though as far as I can tell it was close to impossible to win anything! I managed to score a mini Yukimura tablet stylus by sheer luck but had to give up on the Mitsunari bath towel after several failed attempts. Completing a Capcom survey at the end of a visit gave the reward of one free credit for the UFO catcher machines. 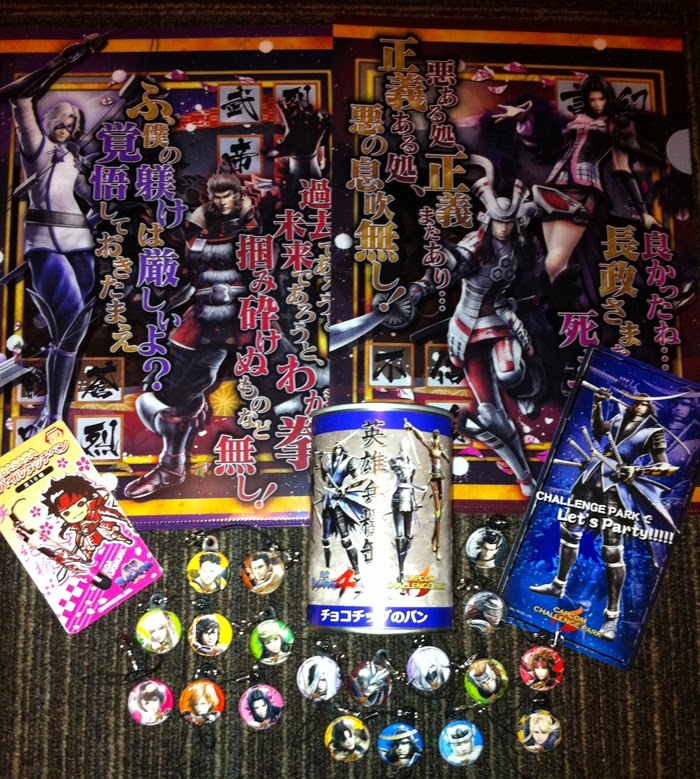 A Sengoku Basara 3 slot machine was also present deeper inside the arcade. All in all, it was a fun visit! 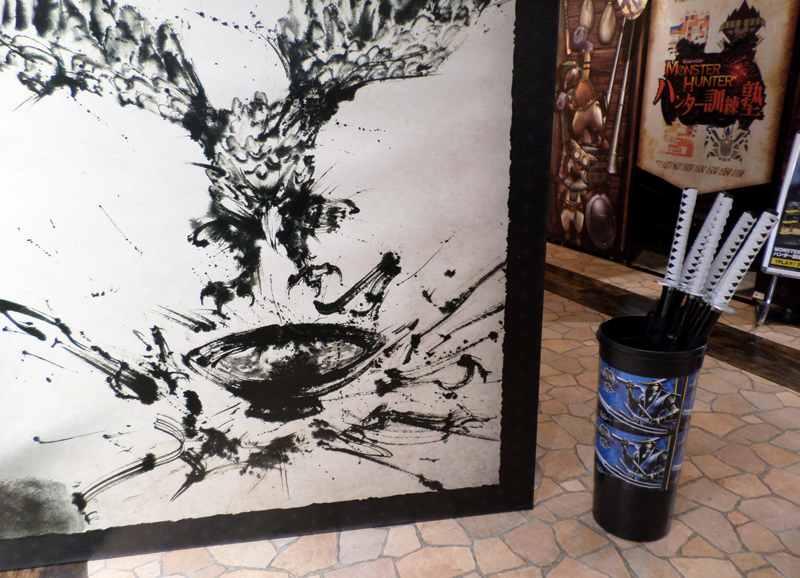 I'm not sure whether it was entirely worth the time and expense of a dedicated trip from Tokyo; you'd have to really like puzzles or Sengoku Basara merchandise to get more than a couple of hours of entertainment out of the experience. 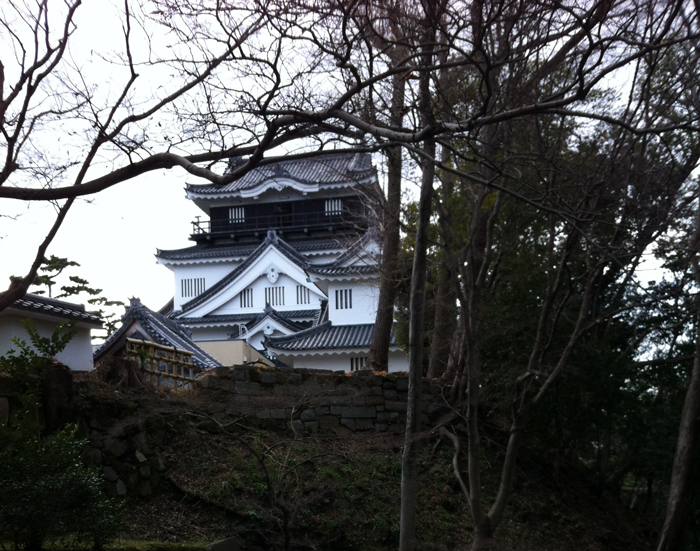 As I hadn't been sure how worthwhile the park was going to be when I originally planned the trip, I already had another activity prepared for the Okazaki area - a visit to Okazaki Castle, the birthplace of Tokugawa Ieyasu. 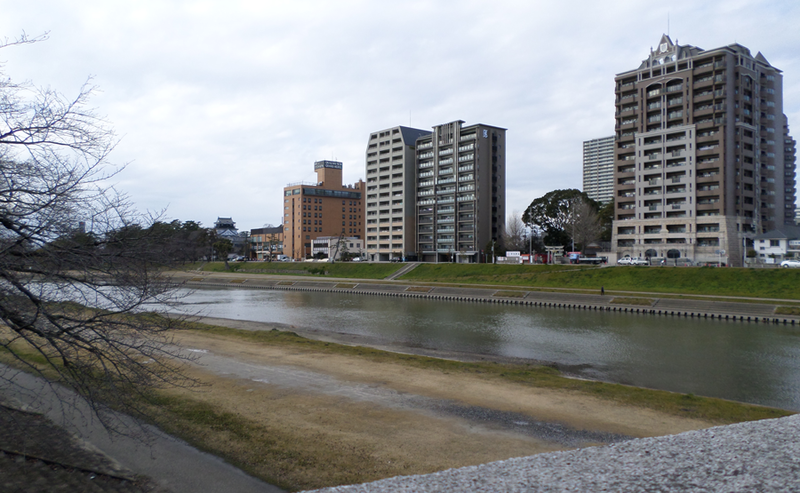 After leaving the mall, I continued up the same long road until it crossed the Otogawa river. 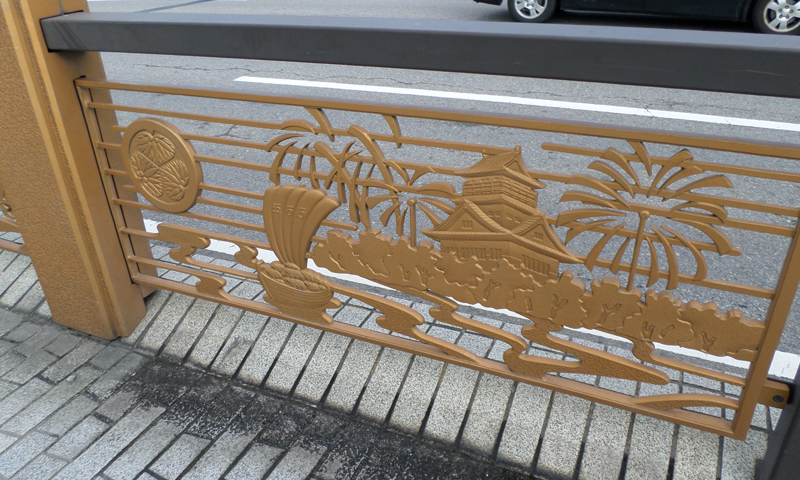 The Tokugawa family's crest could be found all over town, such as on these barriers along the road. 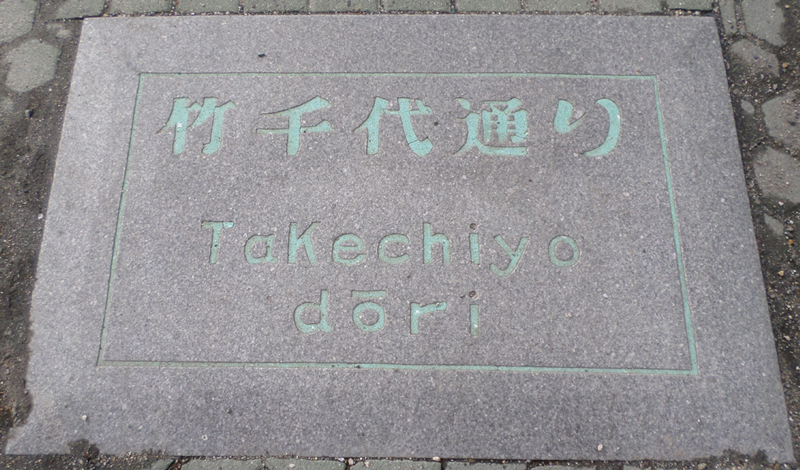 After crossing the river, I turned left and walked along Takechiyo-dori, a trail which led towards the park which surrounds the reconstructed castle. It was a scenic route, with plenty of cats, carp and ducks to be found along the way. After crossing a bright red bridge and climbing some steps, I ended up in the castle grounds right in front of the 'Dragon Castle' shrine. The ridiculously cheap fee of ¥510 granted access to the castle and the nearby Ieyasu And Mikawa Bushi Museum, so I looked around the castle first. There were plenty of weapons and armour pieces on display, but the staff had put the most care into depicting how the people who lived around the castle used to live back at the time the Honda family controlled it with videos, artefacts and a traditional 60kg bale of rice you could lift to test your strength. One thing which impressed me was that there were extensive well-written English-language materials available for tourists; it's usually quite rare to be offered more than a simple pamphlet in English when visiting castles. Visitors could also go up to the top floor and brave the strong winds to walk around and look down on the surrounding area. Another memorable moment was when I opened the castle's guest book and saw that several people had recently added entries which addressed the castle's most famous occupant as 'Lord IeeeYAsuuu! ', written the same way Mitsunari howls it in Sengoku Basara. It's probably a little disrespectful, but at the same time quite funny. I guess I wasn't the only one who was visiting as a result of the game. After exploring, I headed out and visited the front gate area too. The experience was enhanced by the four members of the Great Ieyasu-kou 'Aoi' Bushoutai who were wandering the grounds that day in period clothing to meet and greet visitors. Even though I didn't have much time left, I didn't want to miss out on the Ieyasu And Mikawa Bushi Museum so I wandered there next. It was quite small so I wasn't expecting much. The museum was surprisingly fun! 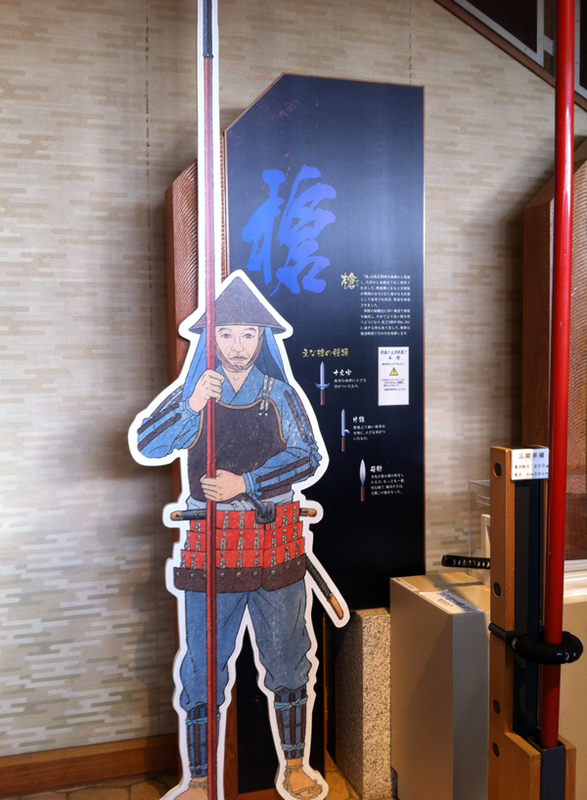 The first rooms were packed with weaponry and even more armour sets, and the highlight was a model of the Battle of Sekigahara which transformed in time with a video presentation. You could see how all of the important moments in the battle affected the outcome, and it really helped illustrate how things fell apart. I never thought I'd be raving about a museum exhibit made from plastic horses and little LED lights but it was genuinely excellent. There was also an area where you could experience what it was like to carry the various weapons of the period with weighted replicas. The most exciting was a 6.3m spear which was so tall it was placed next to the stairs to allow it to extend into the museum's reception area upstairs. It was lighter than I expected. As we left, a friendly staff member dragged us into a studio and dressed my partner up in replica armour for photographs, taking great pleasure in explaining how the replica armour differed from the original pieces which would have been substantially heavier. Her passionate descriptions made what was already a great museum visit even better. 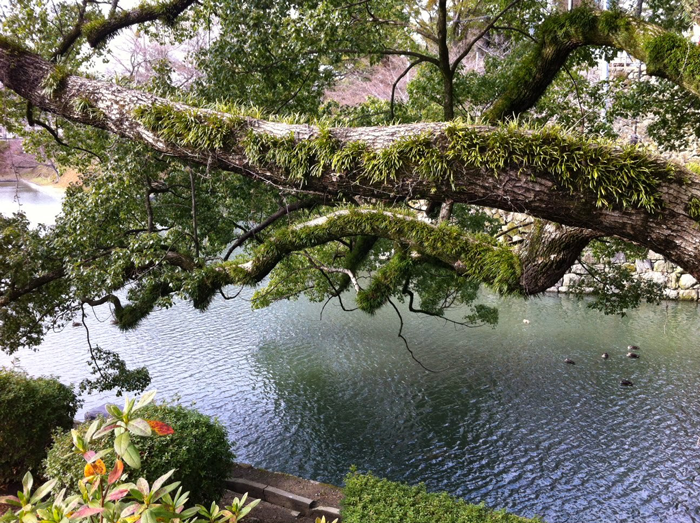 Thank you, Okazaki, for the fun day out! 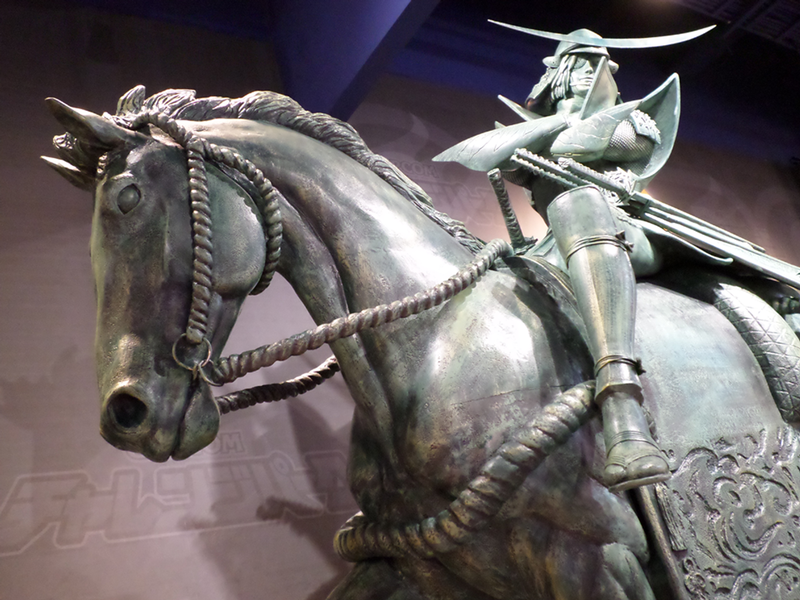 The only regret I have is that I couldn't have gone later to see the temporary Sengoku Musou exhibition that the museum has planned for March 2015. If anyone happens to have stumbled upon this blog entry while planning a trip of their own, I strongly recommend paying the castle and surrounding area a visit; it's well worth a look. Ahhh wow, you got so much stuff! I'm glad you were able to get a Masamune badge but I wish you could've gotten Kojuuro too for a "complete set" so to speak. Also needless to say I'm a bit jealous you managed to get Kasuga and Kenshin, haha. And do share how the bread tastes when you get around to sampling it! Ironically I'm a lot more interested in the visit to Okazaki! I've always been fond of Japanese castles even prior to my interest in Japanese history so suffice it to say that if I ever go there I definitely wanna go to several castles. Okazaki sounds like it's kept up well and set up well for visitors from afar to experience it, so I'll definitely take a look! The museum's exhibits sound pretty cool too! I have a cold at the moment so the bread is being saved for a special occasion when it can be savoured fully. I'll take pictures when the time comes to open it up! Oh? Is that so? I might know a certain fellow interested. I imagine he could offer you the proper information over tumblr or e-mail or private message on KW... :P Haha. Hehe, please pass me the details of this person in any of those ways and I'll make sure to get the two straps mailed out soon. I've never been to what remains of Kasugayama! 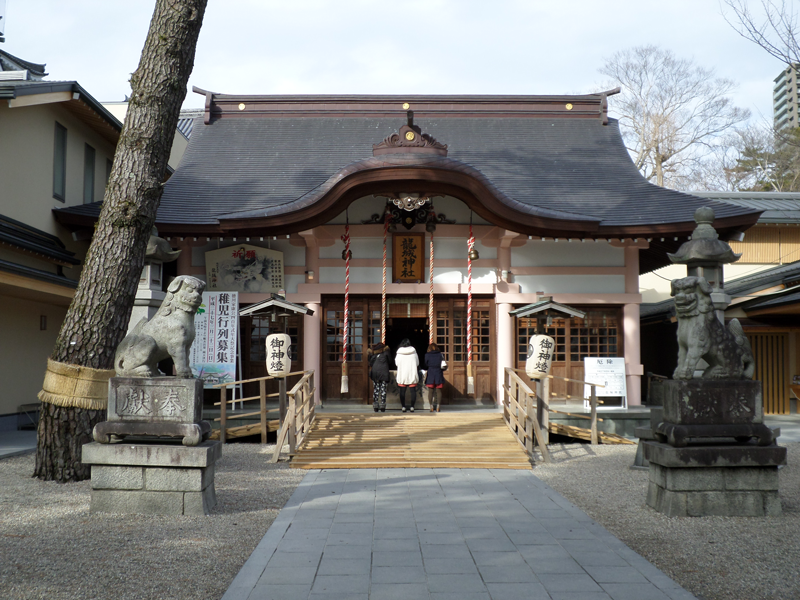 The closest I've been to following in the footsteps of the Uesugi clan was a trip to Kawanakajima. Even though it was January and terribly cold (nobody else was there at all...), I'm glad I got to go and spend the whole day wandering around the local area, staring up at Mount Saijo and imagining how things were in less peaceful times. I hope you can travel there too one day! Will do, via the last method. Easier formatting~! Oooh, Kawanakajima! I keep forgetting that's actually one of the few well maintained battlefields- well, according to Turnbull anyway. That's so amazing! Saijosan in January... must be interesting to look at to say the least! Might be easier to see the top, unless of course it's covered in evergreens. Please do post about more castles you've visited. (With photos pls) I love old historical buildings too. 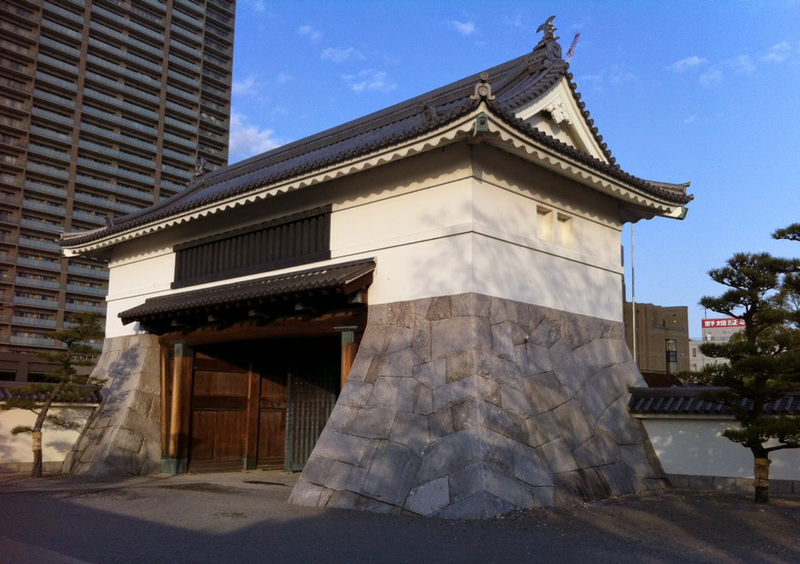 Would be awesome to go on a "look at old stuff in Japan" tour some time, like the path of Nene and Osaka Castle. Hehe, ok, I'll have to find some time for it. I try to go to at least one castle each trip so there are quite a few I can write about when there's time. They're all unique and interesting in different ways so I definitely recommend paying a few a visit if you get the chance!